Abstract: Airwheel H3S was launched in 2017— a foldable and intelligent vehicle attracting the old's attention. It is a modern battery powered chair. For users who cannot manage a manual joystick or other specialist controls may allow independent operation of the H3S. 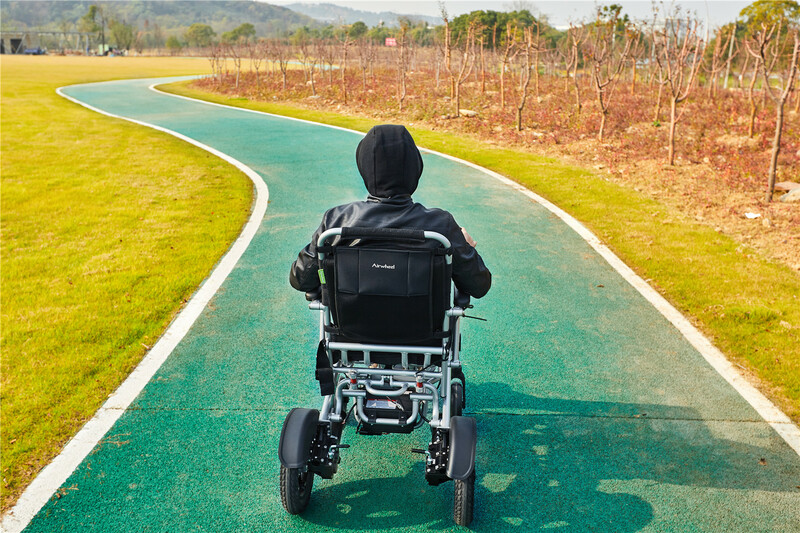 Airwheel H3S Electric Wheelchair share some features with wheelchairs, but primarily address a different market segment-people with a limited ability to walk and those who need a transport to facilitate their daily travel, like the senior citizens. 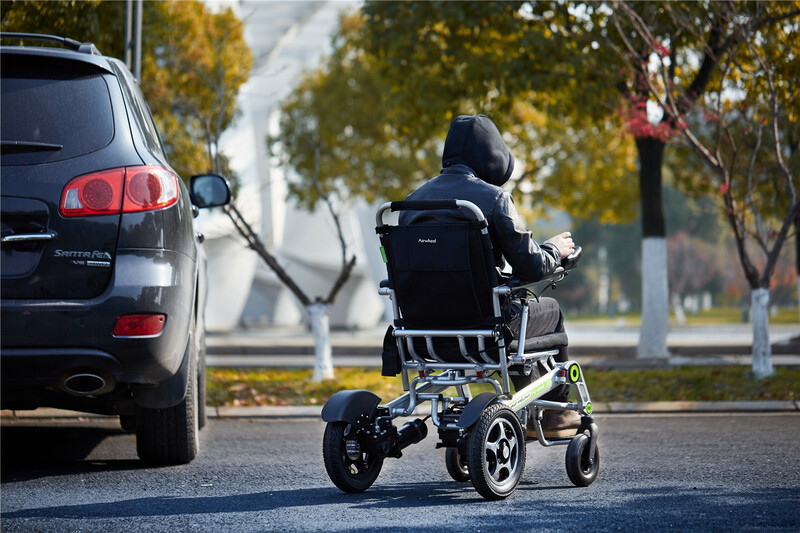 Recent technological advances are slowly improving wheelchair and power chair technology. It is made of aluminium alloy material. Compared with the general selection, such frame is lighter and stronger, load up to 130kg. Performance and construction perfect for outdoor use. H3S folding power chair is fitted with adjustable pedals with three different heights allowing the user to travel comfortably with raised legs—a necessity for those with some medical conditions, such as edema. Programmable controller with common connectors is easy to service and setup and can be personalized for individuals with special requirements. Thanks to the smart joystick controller, it can be easily rode by various age groups. Moreover, the operable double armrests accord with human body engineering. The retractable armrests make dinning and getting on/off easy and safe. H3S is featuring dual ride modes to bring unexpected comfort. It is an electric wheelchair and also a traditional wheelchair. The electric mode gives riders an effortless ride and allows riders to stop and chat freely. The manual mode allows riders to enjoy the company of friends and families. H3S power and manual wheelchair is ideal for active users who know what they want in a personal transport. It is very stable during your outdoor travel, when driving over uneven terrain or climbing obstacles. They offer powerful suspension systems, high drive speeds, and numerous drive control options. Highly responsive, rigid wheelchairs are ultra-lightweight and offer precise control, superb balance, and exceptional performance. Also, H3S enjoys automatic folding system to make storage easier and more convenient. 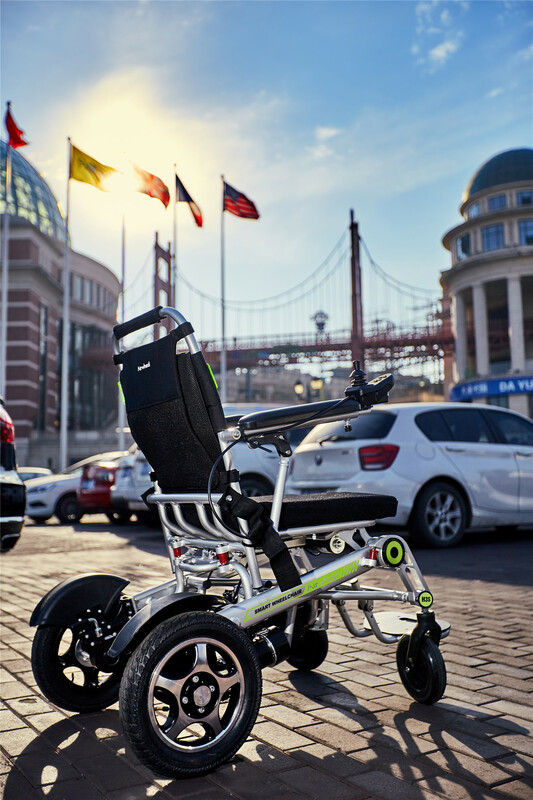 Choose Airwheel H3S folding lightweight wheelchair if you have changing needs or if you are looking for a portable option, folding frames collapse for easy transport and they are highly adjustable, ultra-lightweight, and offer its broadest range of options.